Robert Mapplethorpe Flowers Act II. Join us April 20- 22 at Key West Gallery 601 Duval Street Key West and meet the artist Adam Scott Rote. while viewing their newest originals and limited editions. 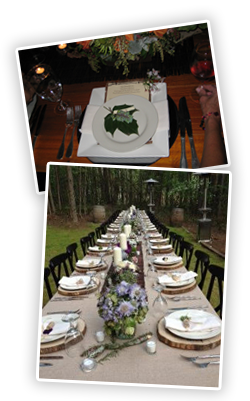 A weekend event hosted by Thomas and Vanessa Arvid at their personal cabin in Georgia. Thomas’ newest original paintings will be on display & available for acquisition. enjoy fine dining and celebrate the sites and sounds of the city! For reservations or more information 305-923-1696.
fine dining, and limousine transportation. Artwork by Bill Mack, Gary Welton, and Jillian Lee will be available for acquisition. Meet the Artist 11am-2pm and 7-10pm Daily. Adam Rote will paint live in the gallery and unveil his newest series. Welcome reception hosted by Thomas Arvid and Key West Gallery. Unwind with hand-selected wines by Thomas in an intimate setting filled with Arvid art at his Cabin- Studio with luxury transportation for the evening. Luxury transportation to and from Arvid’s Floating Studio on the lake to embark on a luncheon cruise with hand- selected wines and gourmet fare presented by Zach Patterson, Arvid’s Executive Chef at the Allatoona Yacht Club. Luxury transportation to and from Arvid’s Cabin-Studio for a Silver Oak wine and dining experience. Enjoy the rare opportunity to see (and collect) current works in progress. Each couple will receive a special, personally dedicated special limited edition sublimation on metal of “You’re Two Kind” shipped to your home following the event. This special edition artwork is 32 x 13 inches. The Cabin will have on display Thomas’ newest original paintings and works-in-progress during this unique buying experience. This once-in-a-lifetime event is limited to 10 couples and reservations will be taken on a first-call basis. This exclusive buying experience is $3,500 per couple. Please call 305-292-9339 to RSVP. Once you have reserved your seats, A VIP discount hotel rate of $109/night will be available under Key West Gallery at the Hilton Marietta Hotel and Conference Center.